Awaken the crystalline cells of your body throughout your temple. Then Cleanses your aura and chakra energies for optimal activation and alignment . This infuses your whole being with Divine Light , Angelic transmissions and alchemic crystal frequencies. Your own mighty Presence accelerates Your Healing the healer within. Excellent atonement SPIRITUALLY, PHYSICALLY, EMOTIONALLY, AND MENTALLY. All using a Selenite sword ... Selenite Swords can open you to the 5th dimensional light of the divine. You can tap into the quantum level of energy with these powerful Swords of Light…. Clears & energizes the glands in body. Clears all blockages in energy field. 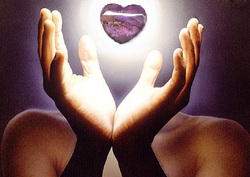 Cuts cords of dysfunctional energy from the etheric body and issues in the past. Purification and energetic cleansing, which makes it a perfect tool for healers. Connects inner self to spiritual world. Adds positive intentions into the Bodies energy matrix. Elevates the frequency of physical matter and enhances the frequency of light, enabling a new substance to bring spirit into matter. Acts as a tool for enlightenment as it heralds the link between spirit and matter. We know that Reiki heals by directing universal energy to flow through ones body, freeing for restrictions, blockages or negative energy, so that you may be healed from the inside out on the physical level, emotional, mental, and spiritual levels. 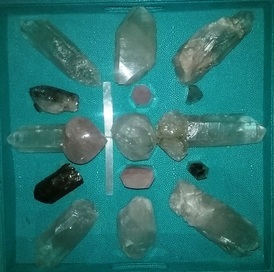 Adding crystal gemstones to a Reiki treatment can amplify the healing process by directing universal energy to flow through one's chakra points allowing the life force energy to flow in a healthy, balanced, and natural way.